"Science is an essentially anarchistic enterprise. (...) The only principle that does not inhibit progress is: anything goes." "For example, we may use hypotheses that contradict well-confirmed theories (...)." Sure, a little controversy is always good. "No theory ever agrees with all the facts in its domain, yet it is not always the theory that is to blame." Well, ok, I suppose. I would say that, if something is refuted, it was never really a fact to begin with. But that's largely semantics, because it's no trivial matter to distinguish facts from hypotheses. So in practice he's right. "Thus science is much closer to myth than a scientific philosophy is prepared to admit. It is one of many forms of thought that have been developed by man, and not necessarily the best." Now I'm starting to see why not everybody is fond of Feyerabend's ideas. These kinds of statements make science out to be some kind of fixed, religion-like dogma, rather than an umbrella term for any kind of activity that seeks to gather new knowledge. I'm sure Feyerabend wouldn't have approved of his ideas being used in this context, but you may recognize the uncanny resemblance with statements that are made nowadays by creationists and practitioners of quackery, who try to put their own ideas on an equal footing with science. But back to the two PLoS biology reviews. It is a duel, you might say, written by two people from very different backgrounds. Biologist Axel Meyer is a pragmatic scientist with very little time for the likes of Feyerabend. James Kidd, on the other hand, is a philosopher who holds Feyerabend in high regard. It's quite interesting to see their very different characterizations of The Tyranny of Science. As you might expect, Kidd judges quite favorably, saying that "fortunately, Feyerabend is far more sensible than (...) his reputation suggests." In contrast, Meyer wonders about the relevance of Feyerabend's ideas, and concludes that "I do not see much of any." The two authors even strongly diverge on the qualities of Feyerabend as a writer. Meyer feels that the book is "a barrage of seemingly unconnected tidbits of information", whereas Kidd lauds the "ecclecticism and immense learning obvious in Tyranny." Kidd's review: Rethinking Feyerabend: The “Worst Enemy of Science”? Feyerabend, P. (1975). Against method. London, UK: Redwood Burn Limited Trowbridge & Esher. 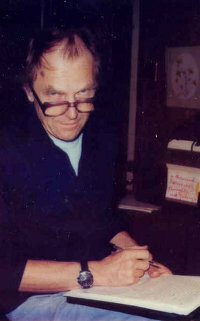 Feyerabend, P. (2011). The tyranny of science. Cambridge, UK: Polity Press.